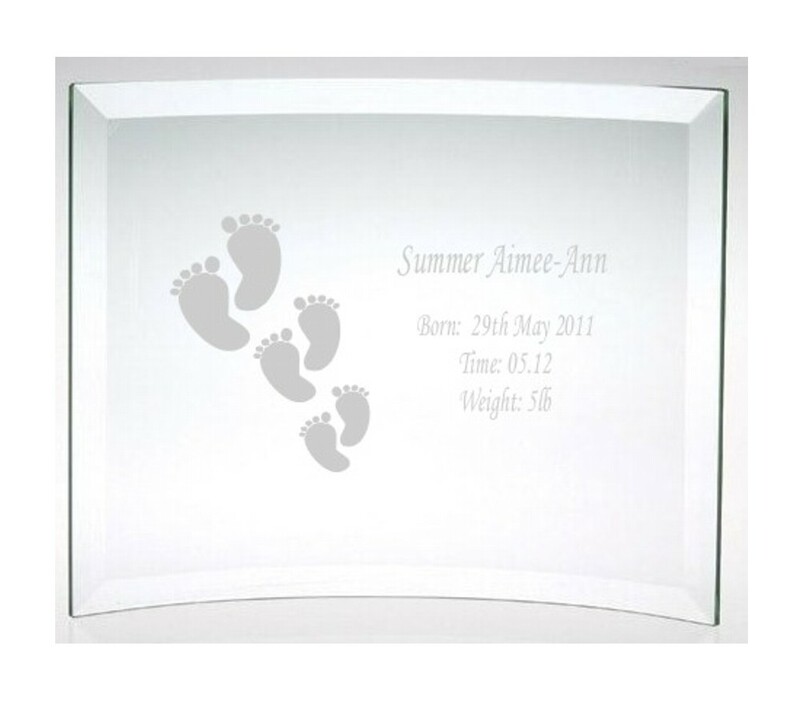 Engraved Newborn/New Baby Glass Plaque. There is no pre-set text only the beautiful baby feet/footprints images. Please supply us with your personalised text by entering it in the Customisation box below or follow our example and supply us with the name, birth date, birth time and weight.